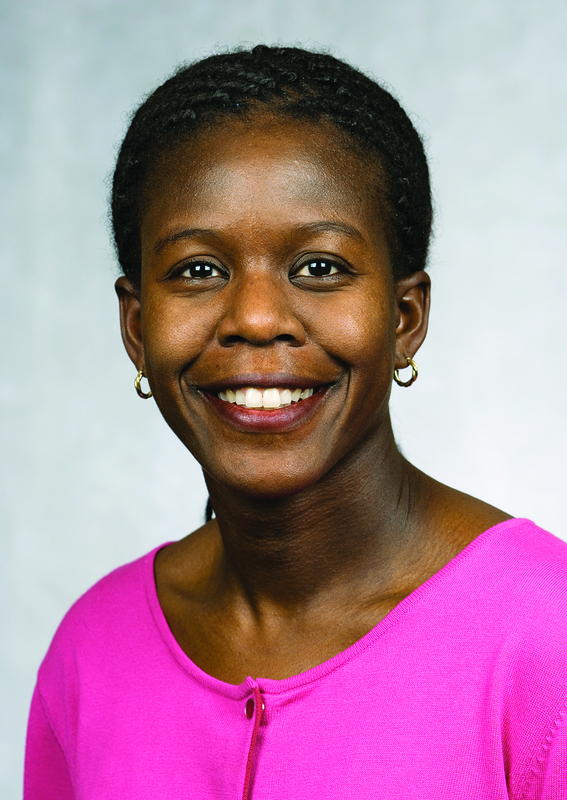 Dr. Bamidele Kammen has been a physician at Benioff Children's Hospital Oakland since 2000. She obtained her MD from Harvard Medical School. She completed her four year residency in Radiology at the Hospital of the University of Pennsylvania. Dr. Kammen completed her fellowship in Pediatric Radiology from UCSF. Koc G, Sugimoto S, Kuperman R, Kammen BF, Karakas SP. Pancreatic tumors in children and young adults with tuberous sclerosis complex. Pediatr Radiol. 2017 Jan; 47(1):39-45. Agrawal AK, Kammen BF, Guo H, Donthineni R. An unusual presentation of subcutaneous granuloma annulare in association with juvenile-onset diabetes: case report and literature review. Pediatr Dermatol. 2012 Mar-Apr; 29(2):202-5. Urbania TH, Kammen BF, Nancarrow PA, Morrell RE. Bilateral renal masses in a 10-year-old girl with renal failure and urinary tract infection: the importance of functional imaging. Pediatr Radiol. 2009 Feb; 39(2):172-5. Mao A, Kammen BF. Dynamic cervical lung herniation in a 10-year-old girl with cough. Pediatr Radiol. 2007 Oct; 37(10):1058. Neumayr LD, Aguilar C, Earles AN, Jergesen HE, Haberkern CM, Kammen BF, Nancarrow PA, Padua E, Milet M, Stulberg BN, Williams RA, Orringer EP, Graber N, Robertson SM, Vichinsky EP. Physical therapy alone compared with core decompression and physical therapy for femoral head osteonecrosis in sickle cell disease. Results of a multicenter study at a mean of three years after treatment. J Bone Joint Surg Am. 2006 Dec; 88(12):2573-82. Kammen BF, Pacharn P, Harrison MR, Gooding CA. The "diaphanous" diaphragm: a radiographic sign seen after patch repair of congenital diaphragmatic hernia in neonates. AJR Am J Roentgenol. 2002 Jan; 178(1):185-9. Pacharn P, Heller DN, Kammen BF, Bryce TJ, Reddy MV, Bailey RA, Brasch RC. Are chest radiographs routinely necessary following thoracostomy tube removal? Pediatr Radiol. 2002 Feb; 32(2):138-42. Kammen BF, Pacharn P, Thoeni RF, Lu Y, Qayyum A, Coakly F, Gooding CA, Brasch RC. Focal fatty infiltration of the liver: analysis of prevalence and CT findings in children and young adults. AJR Am J Roentgenol. 2001 Nov; 177(5):1035-9. Kammen BF, Matthay KK, Pacharn P, Gerbing R, Brasch RC, Gooding CA. Pulmonary metastases at diagnosis of neuroblastoma in pediatric patients: CT findings and prognosis. AJR Am J Roentgenol. 2001 Mar; 176(3):755-9.